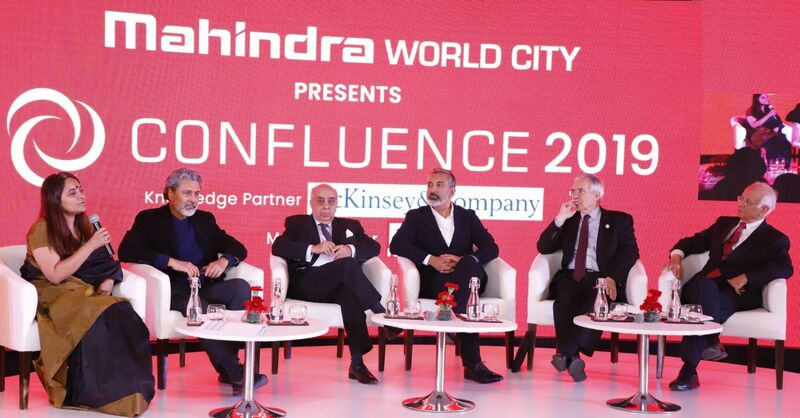 Jaipur,14 February, 2019: Mahindra Lifespace Developers Limited (‘MLDL’), the real estate and infrastructure development arm of the Mahindra Group, today successfully concluded the fifth edition of ‘Confluence’, its thought leadership platform presented by Mahindra World City. The knowledge forum convened in New Delhi addressed the theme of ‘Thinking Cities: The Rise of Resilience’ this year, focusing on the role of citizenry, policy-makers and corporates in making cities more resilient. The forum’s emphasis this year lay firmly on measures required to enable urban resilience, defined by the Organisation for Economic Co-operation and Development (OECD), as ‘the ability of households, communities and nations to absorb and recover from shocks, whilst positively adapting and transforming their structures and means for living in the face of long-term stresses, change and uncertainty’ . Extending this definition to current urban clusters, resilient cities are those that can adapt and transform in the face of challenges such as climate change, growing migrant populations, inadequate infrastructure, pandemic situations. The event witnessed participation by respected national and international leaders and experts of repute such as; Lord Nicholas Stern, IG Patel Chair of Economics and Government, London School of Economics & Political Science; Mr. Arun Maira, Management Consultant and Former Member of Planning Commission of India; Dr. Tia Kansara, Director, Kansara Hackney Ltd. and Mr. Vishaan Chakrabarti, Associate Professor, Columbia University’s School of Architecture, Planning & Perservation (GSAPP). The first session on ‘Evolution of Cities’ highlighted key factors which make a city resilient. The session held up examples as torchbearers for future cities and delved into models of urban resilience. The ‘Leading the Change’ session highlighted the importance of active participation by stakeholders as the DNA for thriving and inclusive urban spaces. Policy-makers, corporates and citizens spoke of their journey in actively driving change within their cities. Confluence 2019 concluded with a power-packed session titled ‘Crafting the Future’. Panelists shared their thoughts on making a collective effort to thread a cohesive narrative of urban abundance centered around making cities resilient.